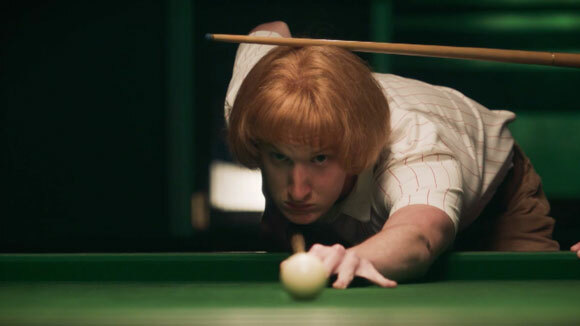 Snooker finally has a movie it can be proud of. Unlike so many sports that have dictated rites of passage, rises and falls, decade-spanning biopics and crowd-pleasing backs-against-the-wall achievement, the cue-game of snooker has retained its most dramatic allure for late-night TV. It’s somewhat surprising given its blood relative nine-ball pool forms the foundation for at least two classics of the genre – Robert Rossen’s The Hustler and its sequel Martin Scorsese’s The Color of Money starring original lead Paul Newman and a youthful Tom Cruise. However, snooker’s lack of mainstream popular appeal in the States has a lot to do with it being a sporting enigma in Hollywood. The Rack Pack will hopefully change that. After all, like so many of the sporting greats it draws its influence from, its themes are universal. 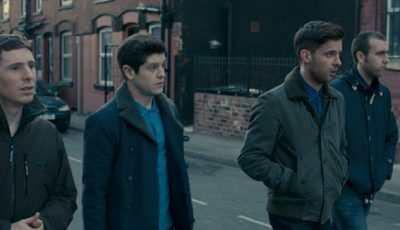 Basing the story on real events, director Brian Welsh along with writers Mark Chappell, Alan Connor and Shaun Pye had a fairly simple task sifting through snooker’s archives for its most noteworthy characters. Their radar centred on a man described by six-time world champion Steve Davis as the “one true genius that snooker has produced”. A player of raw ability, disarming charm and an eye for the headlines. That man is Alex “Hurricane” Higgins. 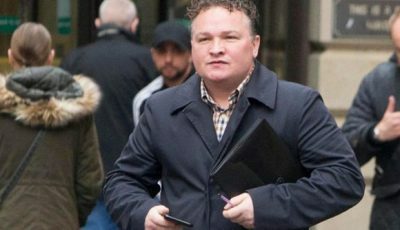 Snooker’s chain-smoking, beer-guzzling, womanising bad boy who, despite alienating himself from most of his fellow professionals, remains one of the sport’s most exciting exponents. 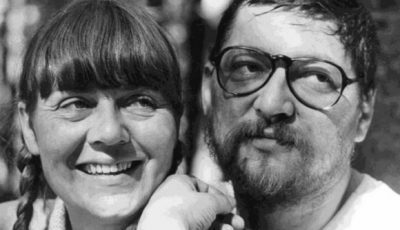 While The Rack Pack takes liberties with events, chronology and the characters involved, Higgins’ controversial life gets a lovingly constructed obituary framed around snooker’s golden years during the late 1970s and 1980s. We begin on the cusp of the sport’s dramatic popularity rise thanks to television coverage and commercial growth thanks largely to whizz-kid events promoter Barry Hearn. Higgins has just won the World Championship in 1972 becoming, at the time, the youngest player at 22 years of age to triumph in the sport’s biggest event. But the tournament, although prestigious amongst those involved in the game, had little attention paid to it by the media. Within a few years, the game was attracting millions of viewers on television with the young, meticulous London-born player Steve Davis becoming the sport’s dominant figure. He was everything that his loud-mouthed rival was not: unassuming, soft spoken, willing to toe the line. Higgins was right in his assumption that his fast style of play and carefree attitude drew in viewers but the television lights illuminated his volatile side. He was a man whose abundant energy was tempered by over-indulgence; alcohol fuelling both charm and bouts of anger. The sport was moving positively in a direction Higgins was unable to follow. This was underlined by the clash of egos between him and Hearn, while the success of fellow professional Davis irked the Hurricane to the point of ultimate oblivion. Welsh’s breezy rendition of snooker history spans nearly two decades meaning there’s very little time to dwell on moments of triumph and tragedy, of rise and fall. 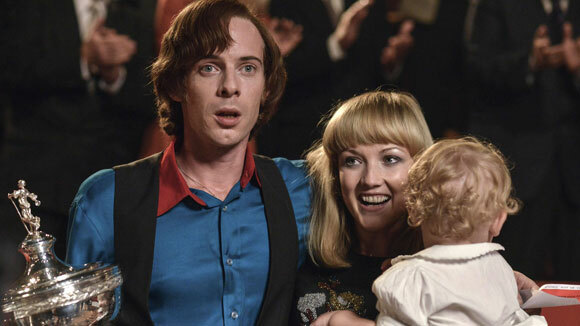 But The Rack Pack is a tidy package of comedy-drama that, while suffering a little from its supporting cast of caricatured snooker stars, enjoys a winning combination of sparkling camerawork around the table and the central performance of Luke Treadaway as Alex Higgins. Certainly, the calculated, almost silent nuances of the game played in front of audiences who are asked to remain as quiet as possible makes snooker less straightforwardly cinematic than perhaps a home run in baseball or a winning touchdown in American Football. 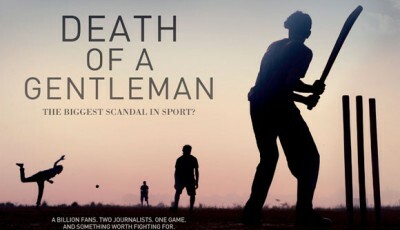 It has perhaps deterred filmmakers in the past from approaching the sport as a basis for drama. However, The Rack Pack’s depiction of the game is never less than a delight as Welsh swings his camera around the action to the rock n roll tunes of the period. The film also recreates specific shots played in high profile matches thanks to some digital trickery. Fans of the game, and those who remember the matches, will enjoy this new perspective on old memories. 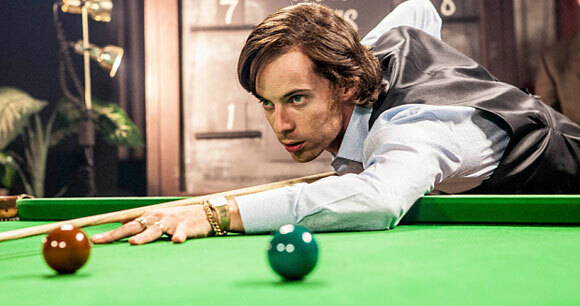 Alongside Treadaway’s convincing performance as the perennially inebriated Higgins, Kevin Bishop as Barry Hearn is equally impressive. Bishop gives Hearn the air of superiority rightly deserved by the man who turned the gentleman’s game into a widely popular commercial cash cow that made its most successful stars very rich. Yet, not all the performances work. Elsewhere, The Rack Pack is populated by cartoonish impressions of real life exponents of the game leading to one altercation in a nightclub between Higgins and fellow player Cliff Thorburn (Russ Bain) feeling tonally misplaced. I doubt many will warm to the somewhat critical representation of new kid on the block Jimmy White (James Bailey) either. White is portrayed as a follower who is at first taken under the wing of Higgins, joining his hedonistic pursuits, before jumping ship when realising the grass is greener under Hearn’s management. This potentially fascinating relationship is sadly undernourished making White’s role an unsatisfactory aside within the drama. Regardless, The Rack Pack gets most things spot on. It might conventionally join the dots but by doing so will appeal to audiences not familiar with, or largely uninterested in, snooker. Certainly, the energy of Welsh’s cinematography brings a new vibrancy to the game. 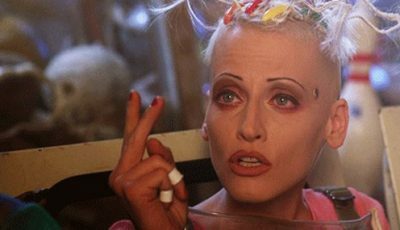 This is complemented well by his choice of music and Treadaway’s standout turn as The Hurricane himself. 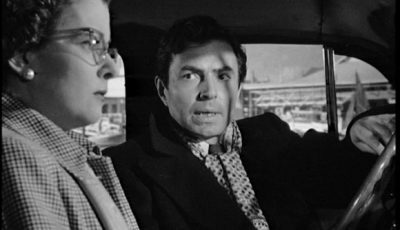 But more importantly the film falls short of ending on an implausible high point, instead finding fortune in the intimate power struggle between a champion of the past and a champion of the present. 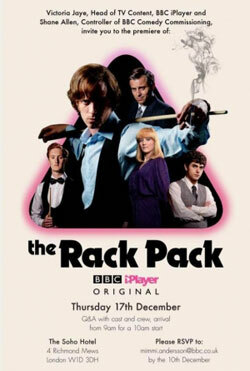 Can’t say I’m a big fan of snooker but I thought The Rack Pack was enjoyable, illuminating and at times quite moving. Watched it. Really enjoyed it. I’m an amateur of the game and I don’t know much about the history of snooker so it was fun to learn about some of the former greats.